Blue - Katie & Paul's Big Day! 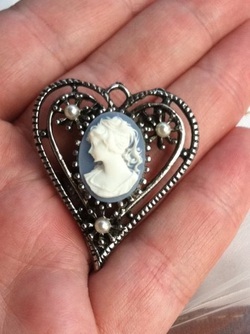 I bought this cameo brooch at the Brimfield Flea Market in Brimfield, MA for $7. There is a pin on the back of it so I can attach it to my bouquet.